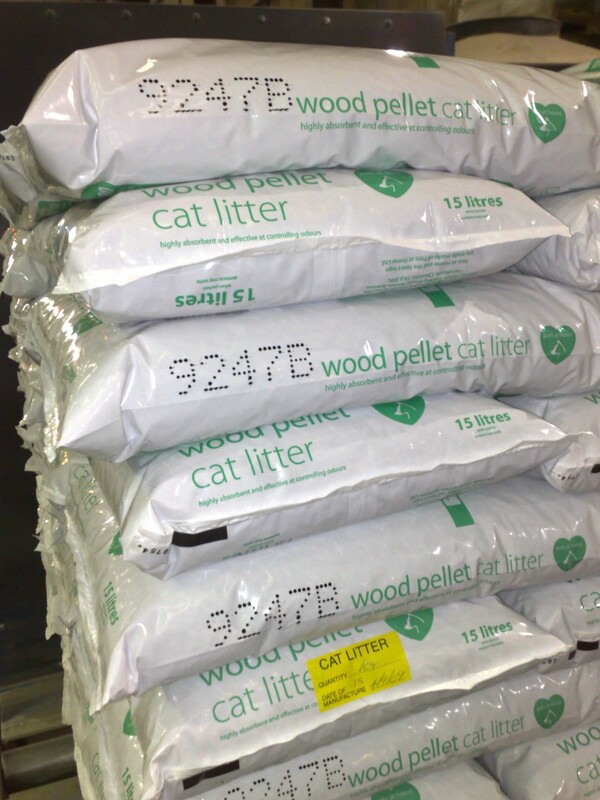 Wood Treatments Ltd, a Cheshire-based manufacturer of cat litter products, have added the Codeology i100M Large Character MEK ink jet printer to their production line to add real-time manufacturing information to their products. 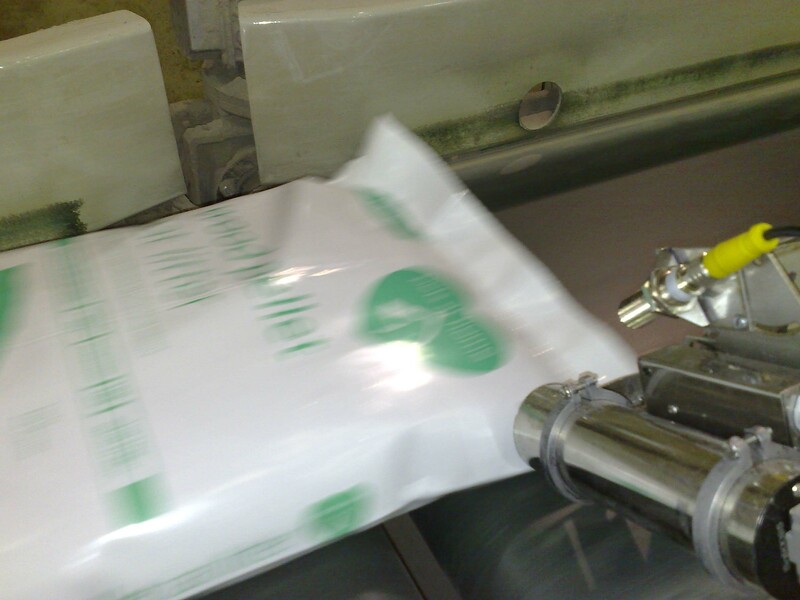 Purchasing Manager Alan Seddon contacted us at Codeology as the company had recently expanded into supplying products to the major supermarkets and needed a simple and reliable method of providing full traceability information on their pre-printed poly bags. However, with a dusty production environment and frequent changes of production batches the sought after solution needed to be tailored to their specific needs. We recommended our i100M MEK ink jet coder with a removable hand controller. With built-in shift codes and real time clock, the i100M codes the bags on-the-fly without the need for operator intervention. We also tailored the machine to Wood Treatments’ specific requirements by adding special brackets to the coder to allow easy adjustment across the various bag sizes and minimise operator involvement in adjusting the printhead. MEK ink was recommended for its fast drying speed, an essential for producing legible print on poly bags. You can see videos of the i100M working on the Wood Treatments line here. Codeology announce the launch of the i100M for large character M.E.K. printing.